Singapore Airlines is investing in a $100 million project to upgrade it’s SilverKris lounges around the world. 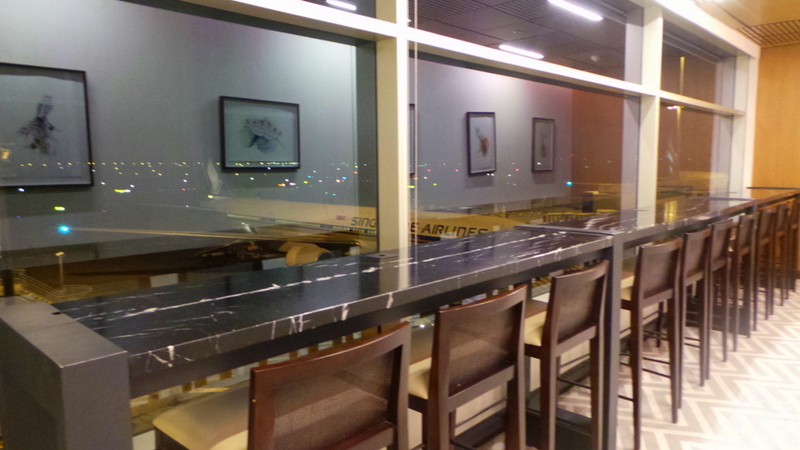 Having recently opened in December of 2013, the SilverKris Lounge in Sydney Kingsfordsmith International Airport is the first to open in the series of worldwide upgrades to occur over the next 5 years. 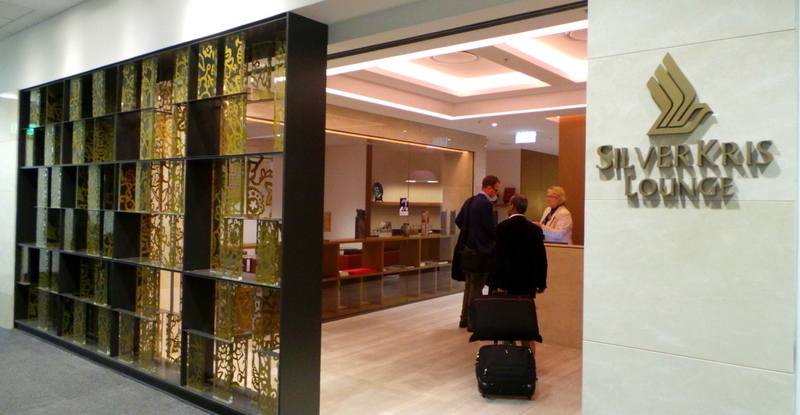 Quietly tucked on the 3rd level of Terminal C, the SilverKris Lounge in Sydney carries an overall design of modern oriental. I checked in quite early in the morning (before 0600 AM) and the lounge was very quiet but there was no shortage in staff assisting passengers. The staff were quite warm and efficient. Despite the very early morning flight, there were still a good number of passengers in the lounge, yet no one had to wait in line to register at the lounge. Just before reaching the main lounge area is a room that evokes a ‘living room’ touch. The lounge design was conceptualised by Singapore-based architectural and design firm ONG&ONG and they wanted to carry out “elements of home” in the upgraded lounges. And this design concept is not just seen but also felt. Many airport lounges are quite business like in its designs and furniture, yet lacking in privacy due to the huge number of passengers in the lounge especially during peak departure hours. 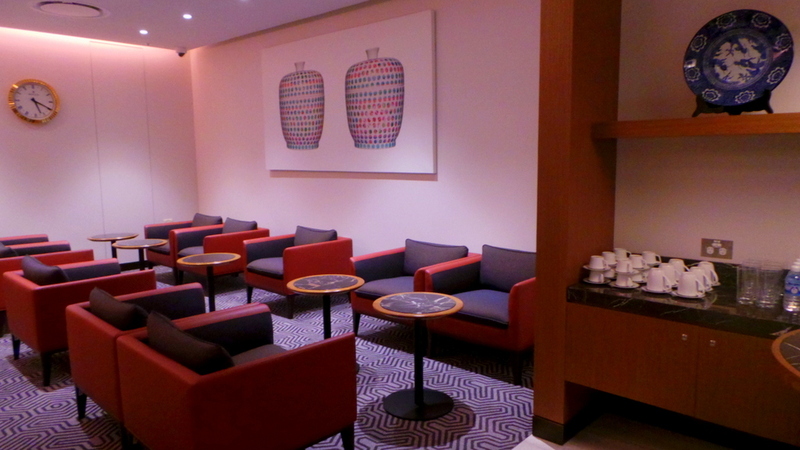 Sometimes, airline lounges also try to fit in a lot of seats and sitting area for guests to maximise space. Unfortunately, personal space gets sacrificed when this happens. 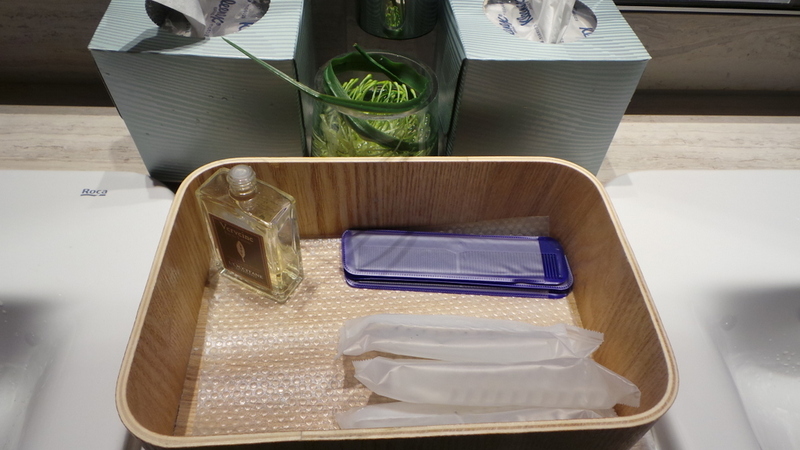 Singapore Airlines has thought this through very carefully and so designed a lounge that, despite having touches of ‘home’, also puts personal space and privacy to a premium. Designed for the solo / business traveller in mind, the productivity pods in the SilverKris lounge isn’t just for working. The seat is very plush and comfortable, you can easily read or watch movies from your tablet/laptop easily without being disturbed. Obviously the productivity pods are the most popular choice for travellers to veer towards when they are in the lounge. There is ample space between seats, and best of all, each seat has it’s own power outlet. 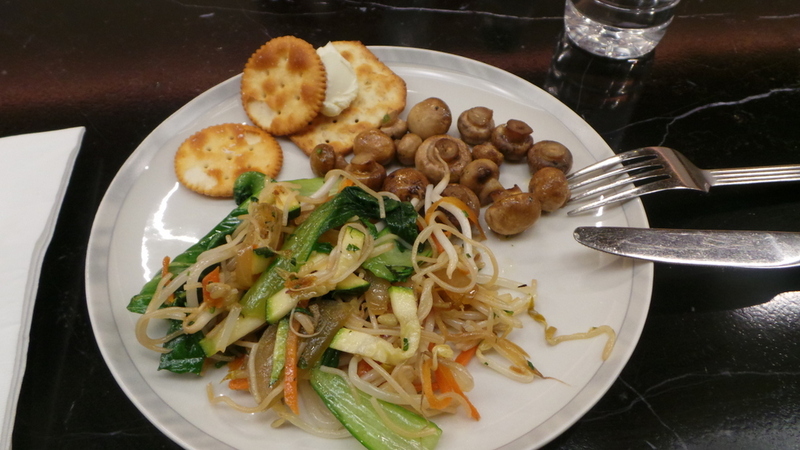 The buffet style breakfast had (sadly) quite limited choices (bread/cheese, cereals, yogurt, eggs, ham, mushroom and a vegetarian glass noodle dish) for a premium lounge. 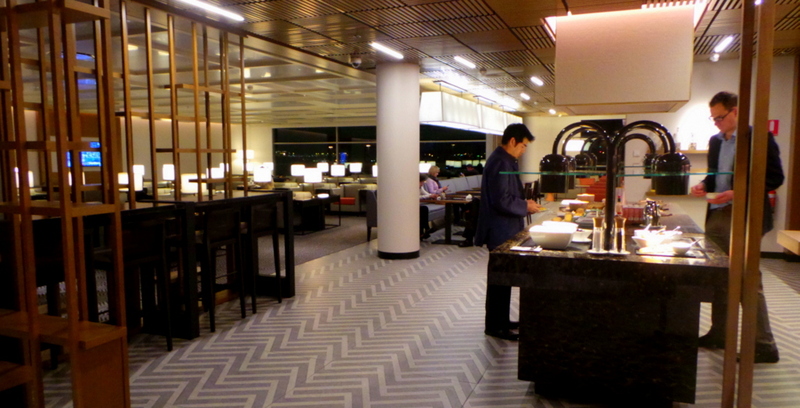 I would love to see the meal choices during the day at not-so-early hours as I hear that part of the progressive upgrades in the lounges is to also introduce Singapore’s iconic dishes such as Laksa and Mee Siam. The restrooms are clean and bright, with basic amenities similar to what you can find on an aircraft. I love the modern marbled wood effect on the walls. 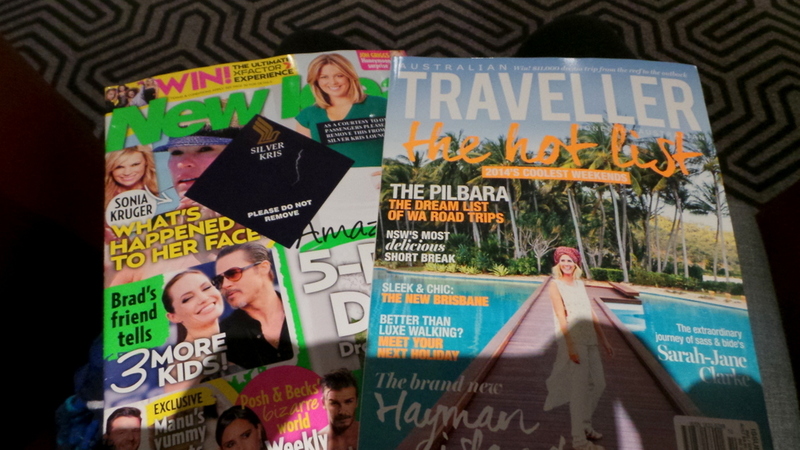 Overall, the SilverKris lounge in Sydney is definitely a place to relax and catch up on work before a flight. What I loved most about it is the attention to design and privacy needs of passengers when travelling. The ‘elements of home’ vibe also works in keeping you relaxed and not have that “airport rush” feeling, most especially after completing the obstacle course of X-Rays and Airport security checks. 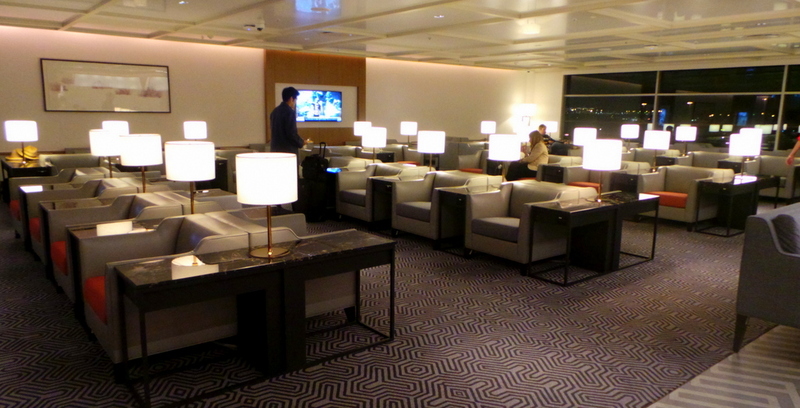 What’s your favourite airline lounge? What cool feature did it have? 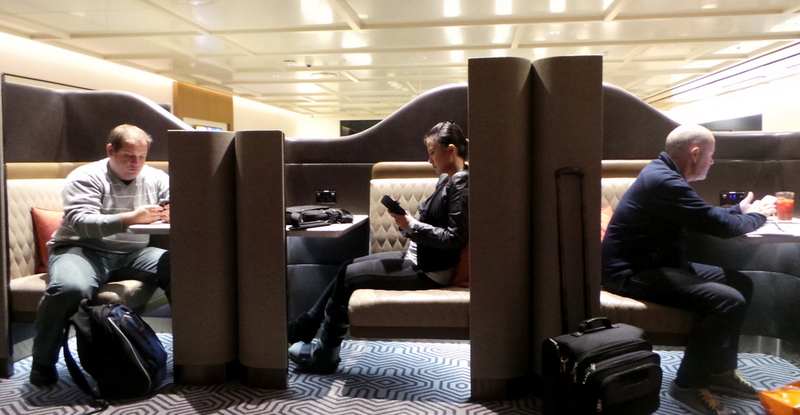 We were guests of Singapore Airlines in the KrisFlyer Lounge in Sydney. However, all views and opinions are my own. The Restroom at SilverKris lounge will be classy jean Holly Smithereens style LOL. There is no doubt, you are classy and full of adventurous life. Mount Pinatubo awesome adventure. Thanks as always Tony 🙂 I hope to repeat another volcanic climb! Thank you but sad to say, the moonboot has been laid to rest! Whoopee!!! 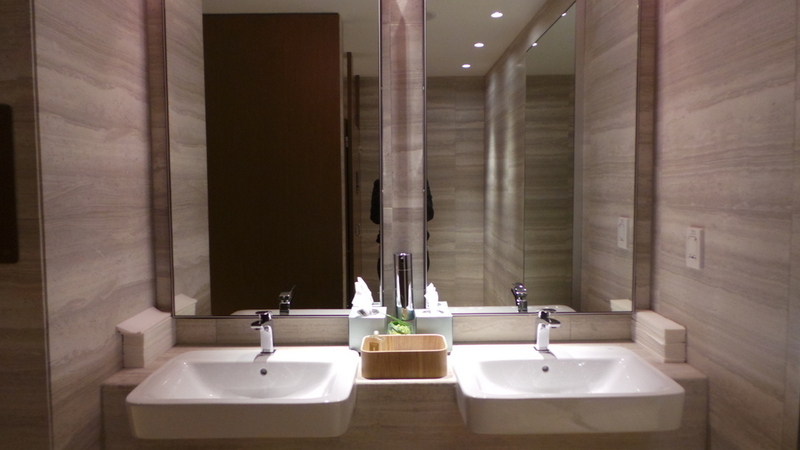 Myself and kids once were in the Qantas First Class lounge in Singapore which had the most deluxe bathrooms ever seen. I could fit both twins and myself in the shower all at once!! Yet to have the pleasure of the new Silver Kris but hope to. I don’t think I have ever really experienced an airport lounge, other than the boarding area. So until the end of the year, I can’t say. But I’d be happy with a comfy lounge chair while I waited. Lol! Hi Anna, you’ll never know you might get a nice surprise on your next travel 🙂 I’d be happy with a comfy lounge chair, food, and wifi !